Something unique about our business model at Don’t Panic Management is that the majority of our team members are not full-time employees. We’re made up of a team of part-time contractors—actors, adventurers, activists, and working parents who have skills to contribute and are eager to earn a living, but who can’t or don’t want to work 40 hours a week in a traditional office job. As you may have heard from the true queen of this castle a few weeks ago, I recently expanded my role at Don’t Panic Management from one part-time contractor to an expanded position as a full-time employee. It’s an exciting change for me personally, to be sure, and for Don’t Panic as a company. But what about for my family? What does it look like to be a full-time work at home Mom when your family is used to having so much more of your time and attention? My son was ready, and I was ready, and I was excited to get to work. But none of that makes the first day of school any easier on a Mama’s heart. It’s a good thing August 31st wasn’t my real first day as an employee, or Jess would have fired me on the spot. I got nothing done! But as the days have passed, it’s gotten easier. He loves his school. He loves his teachers. He’s learned to walk, say new words, put away his shoes… This was definitely the right move for us. I’m incredibly blessed to have spent the first year of my son’s life at home with him. I was there the first time he rolled over, sat up, crawled, and walked. I had time to bond with my son in a way that not every working Mom gets to enjoy—all while being able to work when and as much as I needed to support my family. And now that I’ve transitioned to a full-time role with Don’t Panic, I’m grateful for the continued flexibility to work where and when it best fits my family. Though our other full-timers—Jess, Becca, and Rebekah—all work a traditional 9-5 schedule, I set me hours a little differently to accommodate my son’s school hours. Because I work at home, I fold laundry during conference calls, start dinner on my lunch break, and can always wait for the cable guy to show up. That’s not to say it’s always sunshine and roses. (After all, I’m writing this blog at 11:15 pm, because it’s just been that kind of week.) But setting my own work-life priorities makes it easier to power through the occasional late-night deadline. Any gymnast will tell you that flexibility is useless without coordination—and that’s equally true for the working Mom life. Keeping all of the plates spinning requires a lot of communication, organization, and planning. Here are a few of the tools I’m loving to keep everything running smoothly at home and at the home office. Though I’ll always maintain my beloved paper planner, I’d be lost these days without my Google Calendar. It schedules my meetings for work, tells me when the boss lady is free to chat, tracks when Andrew will be home late from work, and even reminds me when it’s time for preschool pick-up! There are a million calendar options out there, but none seem to be as widely used or as intuitive as Google calendar. It’s what our entire team uses, as well as most of our clients—and at this point I just couldn’t live without it! I just recently integrated this task management tool into my work and family life, and so far I am loving it. Unlike some other productivity tools I’ve seen, Wunderlist has an incredibly intuitive interface, easily managed folders, and lets me bounce between work and home as easily as I do between my desk and my kitchen. Spoiler Alert: My desk is in my kitchen. COFFEE. And then more coffee. Achieving balance and building a healthy lifestyle as a remote worker is tough no matter what stage of life you’re in. But with the right tools and enough flexibility (and coffee. Don’t forget the coffee!) even working parents can successfully integrate work, family, and play. 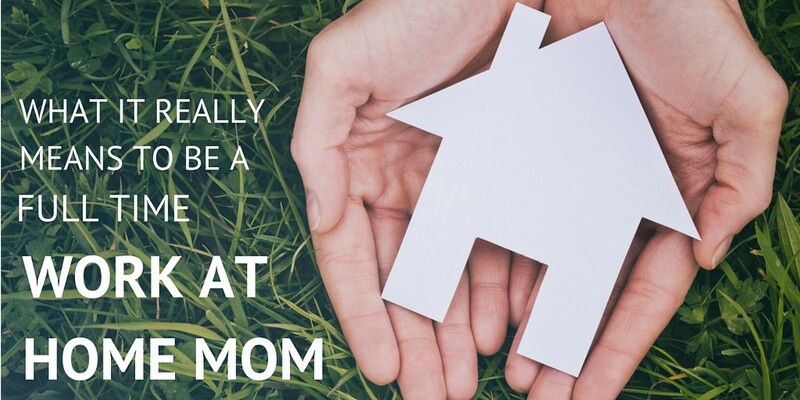 So, why exactly am I talking to you about “Mom stuff” here on the DPM blog? This isn’t a Mom blog! Isn’t this a business? Shouldn’t I be talking about marketing, management, or social media? The truth is, there are a million blogs out there about every one of those topics. Our voice is but one of many. But what we’ve discovered at Don’t Panic is a way of working differently. Whether we’re actors, adventurers, working parents, or committed volunteers, we all know that life doesn’t hit pause every day from nine to five. Our team works how we can, when we can, from wherever we are. As long as the work gets done on time, every time, we try not to panic about the process. In the coming months, we’ll continue to share our knowledge base in virtual assistance, social media, content marketing, and more. But we also want to share more about who we are, and why we fight so hard for this Don’t Panic life. Know someone ready to start doing work on their own terms? Send them our way. We always like making new friends.